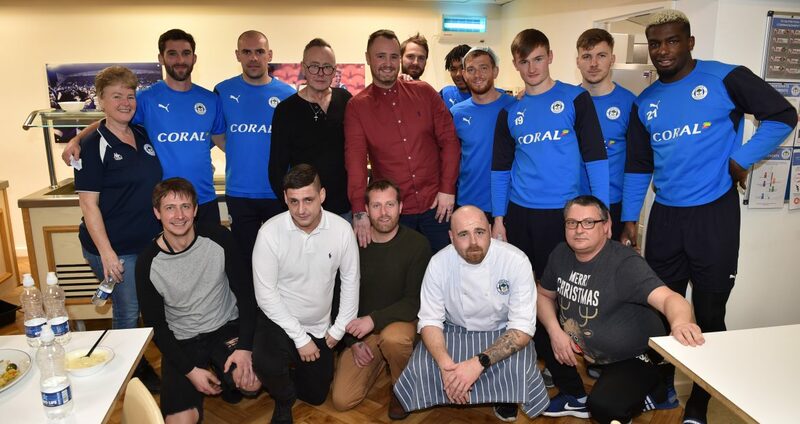 Latics Stars enjoy a festive lunch with The Brick	"
Clients and staff from The Brick were invited to the Wigan Athletic training centre for a special Christmas dinner with the players and management team. The Brick’s representatives were given an exclusive behind-the-scenes tour of the facility before enjoying a festive lunch with the players. The aim of the partnership between Wigan Athletic and The Brick is to raise £100,000 to buy The Brick Works facility, which is a centre that offers training to increase the employment opportunities for unemployed people.